Demand for high-level tech skills is booming — but for how long? It's one of a growing number of appeals for experts in artificial intelligence and machine learning, as businesses in Australia and worldwide scramble to exploit the fast-developing technologies. But as one recruiter told Computerworld, suitable candidates “are hardly falling off the tree”. The number of local job listings relating to artificial intelligence and machine learning increased by 65 per cent last year on the job site Indeed (while big data and cloud related postings decreased), said spokesperson Fiona Portet. While the surge in demand has not yet reached its peak, the window of opportunity for those with advanced technology skills may not be open for long. And the same candidates currently in demand could be the ones that are closing it. Earlier this year, IBM CEO Ginny Rometty reassured the Davos World Economic Forum that AI technologies will not lead to a choice of “man or machine”. Her words will come as little consolation to the 34 employees of a Japanese insurance firm who were fired last month, to be replaced by IBM’s AI platform Watson. More than a quarter of large Australian businesses – those with more than 1000 employees and $500 million annual revenue – said in response to a recent Infosys commissioned survey they will be making workers redundant and replacing them with AI technology. The study of 200 Australian companies also found that more Australians workers fear AI will lead to job losses (60 per cent) than any other nation surveyed. Those in lower-wage jobs, suggests analysis by the White House Council of Economic Advisors, may be the first to suffer. But white-collar workers, particularly those in technology-related roles, will be next. “If you think about the content of many technology jobs, they are easily replaceable by robots or computers and artificial learning,” says Williams, who consults clients on the effect AI will have on the workforce. PwC’s own research shows that Robotic Process Automation alone — which sits on the “simpler more straightforward rules based processing of the AI spectrum” the company says — will affect 31 per cent of IT workers tasks within the next five years, second only to the manufacturing sector. While starting on the low-skill “grunt work” of traditional tech roles, soon those AI systems will improve and take on higher-level tasks, Williams predicts. “That band is going to move up over time, and it will be a higher and higher level skill of technology jobs. It may be this is a window where we need those skills to set the system up, but then the system also becomes self-sustaining,” Williams says. “People have to wake up to the fact that in some cases, some jobs are going to disappear,” says Walsh, who along with Stephen Hawking and Elon Musk last week was announced as a signatory of the Asilomar Principles on developing safe AI. But not all AI experts working today will be suitable for a more strategic role, says Williams. To secure their futures, adds Williams, many of them will need to focus on what AI technology is not good at. 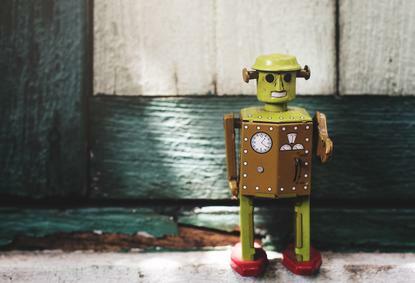 “Robots are notoriously bad at interacting with the environment and interacting with other human beings in providing services and experiences and care. And we’re a long way away from robots coming up with new ideas, new products, new innovations,” he says. Once the AI-dominated “new world” is in place, a very different set of skills will be in demand, he adds. “The roles that will prosper will be those that require us to respond to non-standard stimuli. Trades jobs, jobs that require working in a built environment. Or jobs that require intuition and innovation and some new, higher skilled technology jobs,” Williams says.